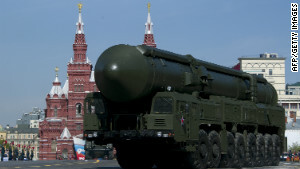 Russia tested a new intercontinental ballistic missile (ICBM) last week after NATO confirmed its commitment to building a missile defense system. At a NATO summit in Chicago last week, members of the 28-country alliance reiterated their commitment to building a missile defense system. The system would place radars and other anti-missile hardware in Turkey, Romania, Poland, and Spain. NATO claims the missile “shield” is designed to protect Europe from a ballistic missile launch by a country such as Iran, but Russia–the former Cold War adversary of NATO–alleges that the system is intended to neutralize its missiles and strongly opposes the deployment of such a system. Going back at least to the Anti-Ballistic Missile (ABM) Treaty of 1972, missile defense has been regarded as a threat to the stability produced by Mutually Assured Destruction (MAD). MAD is the strategy of nuclear deterrence that both the U.S. and the Soviet Union adhered to for much of the Cold War. This doctrine states that if one side launches a first nuclear strike, the other side will retaliate with unacceptably devastating losses (i.e., if you destroy my country, I’ll destroy yours). Hence, no rational leader would supposedly contemplate a nuclear strike, knowing this would be tantamount to national suicide. But a missile defense that reliably prevented nuclear retaliation would upset this balance and tempt its owner to launch a first strike with impunity. The ABM Treaty prohibited the construction of national missile defense, thereby keeping both the U.S. and Soviet Union vulnerable to retaliation and maintaining MAD. (President George W. Bush pulled out of the ABM Treaty after 9/11, citing the need to develop missile defenses against new threats). President Reagan’s Strategic Defense Initiative (SDI) was an ambitious attempt to develop a missile shield that would render nuclear missiles obsolete, but it faced serious technical and political obstacles and was never built. But smaller defenses that can stop a limited number of missiles are more feasible and have been pursued by recent U.S. administrations–and now, NATO. Even if a missile defense shield does not render its owner immune to retaliation, critics charge that it could increase tensions and provoke enemies to build up their arsenals in an effort to penetrate the shield and maintain their deterrent capability–thus sparking dangerous and unnecessary arms races. This suggests a security dilemma may be operating here: steps that countries take to make themselves more secure may paradoxically make them less secure. While it does not appear that the limited system envisioned by NATO could even come to close to threatening the Russian nuclear deterrent (given its thousands of nuclear weapons), if Russia perceives the defense system as a threat then its responses could make NATO countries less secure. Thus far Russia’s numerous threats, missile tests, and other saber-rattling efforts indicate NATO may indeed be facing a security dilemma in the context of missile defense. What do you think? Is NATO’s planned missile defense a good idea, given the threats faced by Europe and the likely responses of Russia? Let us know your thoughts by scrolling down and taking the poll on missile defense posted on May 22. 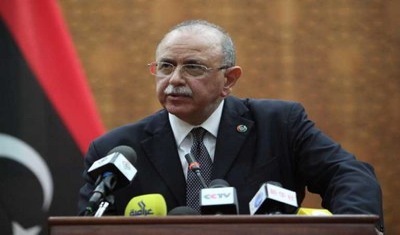 Libya's interim Prime Minister Abdul Raheem al-Keeb has his hands full trying to establish a functioning government and disarm militias in the country. Political scientists have pointed out that when governments are unable to provide security (a primary symptom of state failure) people commonly take up arms to defend themselves and their kin. 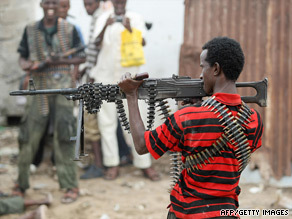 This frequently leads to the formation of militias along ethnic or sectarian lines, and can spark a security dilemma, whereby one group’s efforts to ensure its security (usually through an arms buildup) reduces the security of other groups, heightens tensions, and ultimately makes the original group less secure. The security dilemma is more common in international politics, where there is no world government to ensure states’ security (a condition realist scholars call anarchy). But when states fail, anarchy is produced within states. The Financial Times last week carried a story discussing the increasing level of arms purchases by several Southeast Asian states. According to the Stockholm International Peace Research Institute, Singapore recently placed an order for two new submarines and twelve fighter jets to supplement previous deliveries which included six frigates and 32 fighter aircraft. 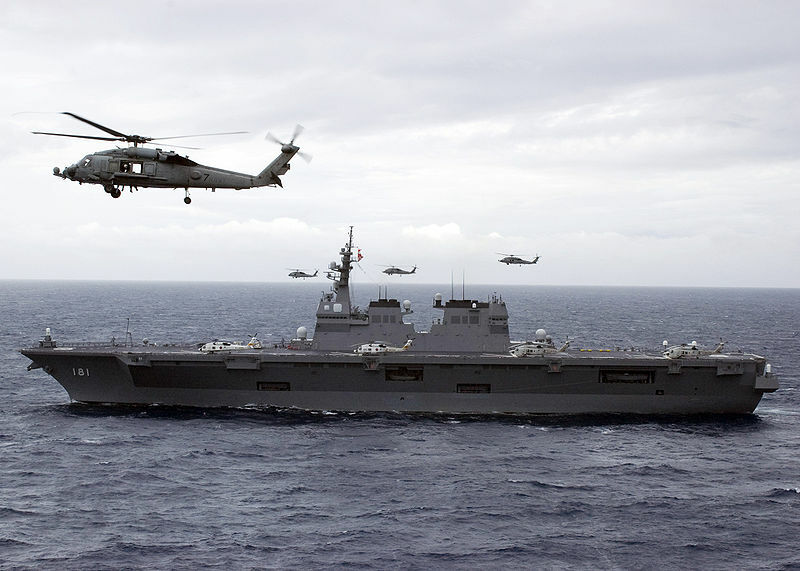 All told, between 2005 and 2009, Singapore’s spending on arms imports increased 146 percent. Not to be outdone, Indonesia increased its spending by 84 percent, and Malaysia increased its spending by 722 percent (and no, that’s not a typo).Vietnam and Thailand have also announced intensions to increase military spending. Though many have not publically stated the reason for the increases, most observers point to growing tensions over disputed territories in the South China Sea and dramatic increases in Chinese military spending as the primary causes. The current South China Sea arms race provides a classic example of the security dilemma [glossary], in international relations. From the perspective of each individual actor, the rational course of action is to increase defense spending in order to facilitate greater security. However, the increase in the armament level of one state leads neighboring states to feel less secure. They therefore increase their own defense spending, leading to a regional arms race. The end result is that, while pursuing rational actions intended to increase their own security individually, all states wind up feeling less secure than they would have felt absent the increase in total military spending. In a development that some are viewing as Obama’s first foreign policy test, Russia has announced its intention to develop a new missile base along the Polish border. Financial Times blogger Gideon Rachman has termed it the “Polish Missile Crisis.” Russian President Dmitri Medvedev made the move in response to the decision of the United States to deploy its missile defense system into Poland and the Czech Republic. The current crisis is a classic illustration of the security dilemma, in which an action intended to improve the security of one state cause another state to fear for their own security and therefore respond in way that undermines the security of both states. In other words, states behaving rationally in the pursuit of their own interests can produce irrational outcomes. In this case, the decision of the United States to develop and deploy a missile defense system, intended to improve its own security, causes Russia to expand its deployment of missile systems along the Polish border to offset U.S. gains. As a result, both countries feel less secure. even in difficult times in east-west relations, agreements can be struck on matters of mutual interest, as happened even in the cold war. There is much that binds Russia and the west, including energy and trade, and concerns about Iran, global terrorism and, most recently, financial stability. Reducing tensions over missile bases should be high on this list. Sounds like a test for the Obama Doctrine.